This past week the Earth Charter Center for Education for Sustainable Development hosted Bjørn Heyerdahl’s presentation on Integral Climate Parks. Bjørn Heyerdahl is an active explorer, environmentalist, biospheric designer and consultant on humanitarian, environmental and development issues. He is currently the CEO of Integral Climate Change Solutions (ICCS) and founder of Midgard and uses the Earth Charter as an ethical guideline for his activities. With Integral Climate Change Solutions, Bjørn has implemented these holistic living models called Climate Parks in various environments around the world such as South Africa, Italy, UAE, Myanmar, and more. ICCS has developed the Climate Park as one solution to address growing environmental and social challenges through integral design and restoration projects. These Climate Parks are examples of holistic designs created to meet the needs of local communities, support nearby cities, provide business opportunities and protect and enhance the natural environment. Within these climate parks, constructive systems are used to mimic our natural systems such as the forest floor, the riverine system, the mangroves, etc. in order to create systems that will clean our air and our water and provide a zero waste and healthy environment. These designs can be implemented anywhere in the world, completely aligning with the UN’s Sustainable Development Goals (SDGs) and the ethics and principles embodied in the Earth Charter. 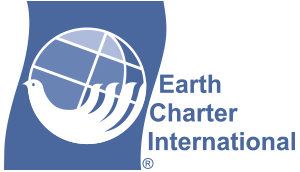 Bjørn uses the Earth Charter as a checklist and an ethical guideline manifesting and putting into action the intentions and the words of the Earth Charter. He uses the Earth Charter to make sure the designs are fully integral, to include all the questions people ask, to make sure all sentient life is taken into consideration, for fair participation, and economic stability. Bjørn believes that what we lack in our world are whole systems designs educating people on how we can live together physically exemplifying our commitment towards a sustainable future, “How do we care for our needs without eating away at our foundations?” Bjørn states that, without these living models as examples of how we can live in harmony with the environment and with others, we won’t learn the importance of these intelligent integral design systems. He spoke on the theory behind integral design touching on the eight academic perspectives for an integral view and the importance of each quadrant taking into consideration each perspective for the success and sustainability of the project. Along the coast of Myanmar, 60% of the coast has been recovered with 2.5 million mangroves planted building up fish populations, sequestrating carbon, creating community engagement within the community which converts the area into an informal food security programme. 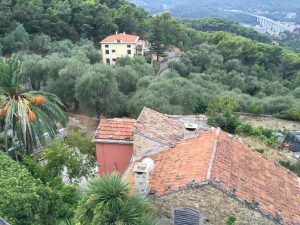 Along the Ligurian coast of Italy, Thor Heyerdahl, Bjorn’s grandfather initiated a sustainable development model, brought further toward a sustainable model by a collaboration between Bjørn and his father, one of his first climate parks within a family owned property in Colla Michieri as an example of a European model. 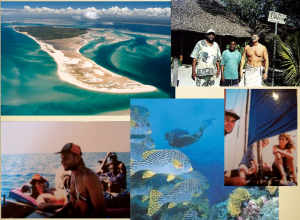 Benguerra Island, Mozambique has been transformed into a sustainable eco-tourism development where the community members are the stakeholders and major contributors. climate park is being built to create a forest floor as an example of working against deforestation using only waste. The presentation concluded with the affiliation agreement signing between Integral Climate Change Solutions and Earth Charter International to strengthen our relationship and to continue to collaborate together.